Gold refinery. 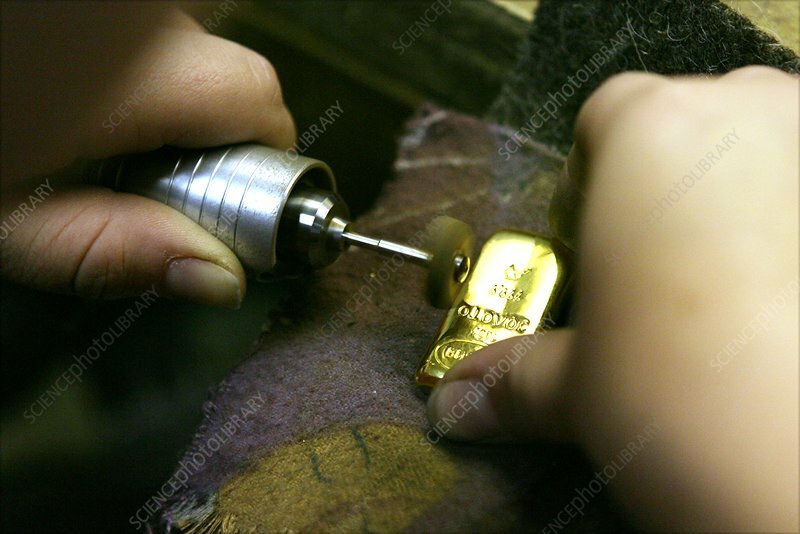 Worker cleaning and polishing a newly cast 24 karat gold bar at a refinery. Photographed in Novosibirsk, Russia.